"Deep and grand and altogether extraordinary....Miraculous." “A Great Reckoning succeeds on every level." #1 New York Times bestselling author Louise Penny pulls back the layers to reveal a brilliant and emotionally powerful truth in her latest spellbinding novel. When an intricate old map is found stuffed into the walls of the bistro in Three Pines, it at first seems no more than a curiosity. But the closer the villagers look, the stranger it becomes. Given to Armand Gamache as a gift the first day of his new job, the map eventually leads him to shattering secrets. To an old friend and older adversary. It leads the former Chief of Homicide for the Sûreté du Québec to places even he is afraid to go. But must. And there he finds four young cadets in the Sûreté academy, and a dead professor. And, with the body, a copy of the old, odd map. Everywhere Gamache turns, he sees Amelia Choquet, one of the cadets. Tattooed and pierced. Guarded and angry. Amelia is more likely to be found on the other side of a police line-up. And yet she is in the academy. A protégée of the murdered professor. The focus of the investigation soon turns to Gamache himself and his mysterious relationship with Amelia, and his possible involvement in the crime. The frantic search for answers takes the investigators back to Three Pines and a stained glass window with its own horrific secrets. For both Amelia Choquet and Armand Gamache, the time has come for a great reckoning. LOUISE PENNY is the author of the #1 New York Times and Globe and Mail bestselling series of Chief Inspector Armand Gamache novels. She has won numerous awards, including a CWA Dagger and the Agatha Award (six times), and was a finalist for the Edgar Award for Best Novel. In 2017, she received the Order of Canada for her contributions to Canadian culture. Louise lives in a small village south of Montréal. "Luminous prose, complex but uncluttered plots, and profound compassion." 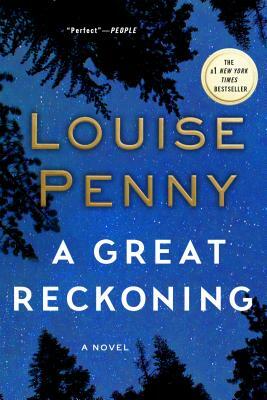 "Louise Penny [is] legendary... The magic of Penny’s books lies in the details." "This complex novel deals with universal themes of compassion, weakness in the face of temptation, forgiveness, and the danger of falling into despair and cynicism over apparently insurmountable evils." "A compelling mystery and a rich human drama in which no character is either entirely good or evil, and each is capable of inspiring empathy." "Riveting...with characters of incredible depth who only add to the strength of the plot." “Louise Penny is unsurpassed at building a sense of heart-stopping urgency." "This series dominates best-seller lists and award lists for a reason. Penny tells powerful stories of damage and healing in the human heart, leavened with affection, humor and – thank goodness – redemption."